The National Weather Service is predicting a near-perfect weekend at the beaches, with warm water and moderate temperatures. 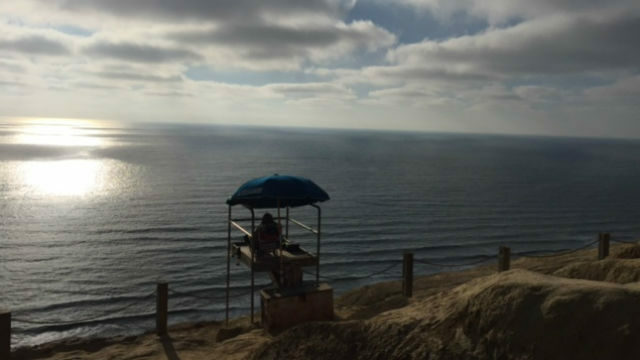 “It will be another beautiful weekend at the SoCal beaches, get out there and enjoy it,” according to the forecasting office in San Diego. The weather service is predicting afternoon highs of 73 to 77 under partly cloudy skies. Surf is expected to be 1 to 3 feet with low risk of risk currents. Water temperatures will be in the high 60s to low 70s. A cooling trend is underway thanks to a trough of low pressure developing near the West Coast. The weather service said humidity will decrease and high temperatures will drop 5 to 10 degrees below average Sunday through Tuesday.